No matter the size of your home, there are hundreds of little details to take care of with every move. There are all kinds of packing supplies to buy, items to box up, heavy items to heave, and so much more. Sometimes, it's best to leave it to the pros. For over twenty years, our experts at Family Moving & Storage have been helping people move. We recognize that each customer has a different moving plan and diverse set of needs; rather than offering cookie cutter moving services, we'll take the time to sit down and discuss all your worries, questions, and goals regarding your move. From there, we'll set a date and select the services we know work best with the requirements of local residential moving. Whether that means providing packing services to help you get out the door faster, or planning the best way to move your antique or oversize items, we take everything into consideration when it comes to your move. After all, we're not just moving items; we've moving all the important pieces that make up your life. We're the moving professionals who take care of all the details for you, and we offer an unmatched commitment to getting the job done right, every single time. At Family Moving and Storage, our white glove approach to every item in your home will demonstrate how we've earned the reputation as one of the best local residential moving services in the business. As a locally owned and operated business that has been an integral part of the community for decades, we know the value of treating every customer like they are family. 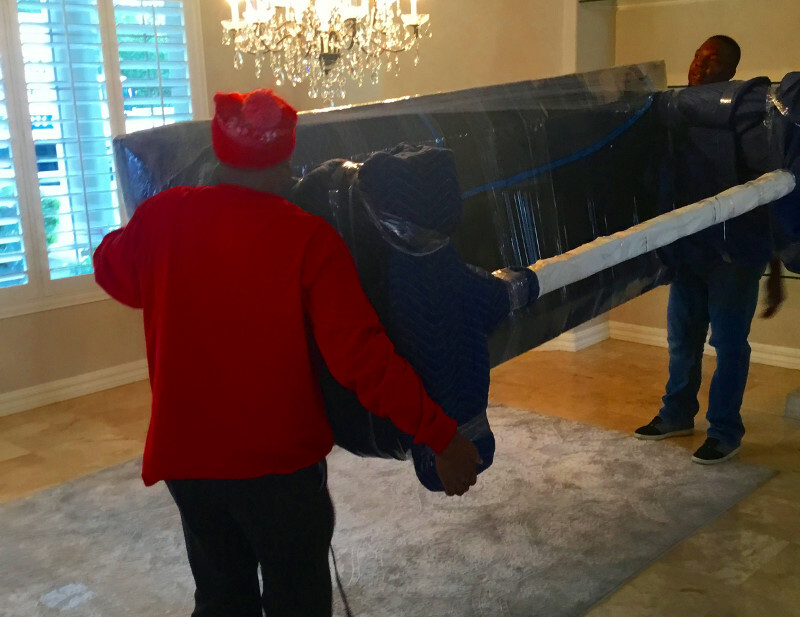 Our professional crews are experts at moving and packing all of your possessions. We'll load them carefully into our trucks and keep them safe and secure for the duration of your move. From the safest routes to take to the most efficient times to be on the road, we know Arizona inside and out. We'll keep your move on schedule and your budget in check, no matter the mileage. Studies have shown that moving is one of the most stressful experiences in a person’s life. Don't let stress spoil your move; let us take care of the planning, packing, moving, and storing. Whatever your moving project entails, please contact us to get an honest and straightforward perspective. There is a reason why most of our customers are referrals; no matter the size of the move, we work hard to keep our customers happy- from estimate to moving and beyond. Give us a call today, and see how will do the same for you.